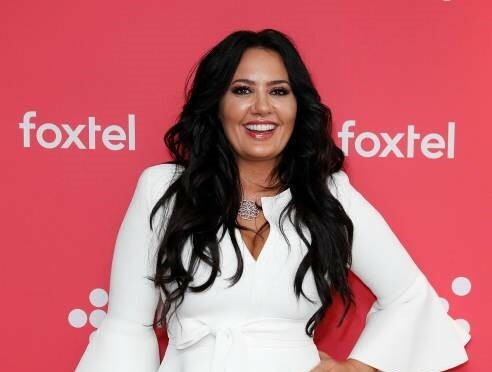 iRealHousewives | The 411 On American + International Real Housewives: RHOMelbourne Star Lydia Schaivello Shows Off Incredible Weight Loss In A Bikini — See Pics Here! Last week, Lydia Schaivello showed off the process of her incredible weigh loss. The Real Housewives of Melbourne star shared a photo on Instagram in a bikini, showing off her new slim figure after being fat-shamed on the Foxtel hit reality series by co-star Janet Roach. Schaivello, who was previously a size 12, admits she lost weight due to a strict diet and fitness regimen. The mother-of-three revealed on Instagram that she's cut off sugar, alcohol, and processed foods from her diet. "So many have asked me about my diet in my last post... A clear mind, an empowering mind will get you to your goals. (exercise) walk 40-50mins 3-4 times (gym) weights to strengthen 2-3 times (Food) a good balanced eating plan, no sugar, no processed food, no alcohol * -Try that for 14 days," she shared on Instagram. She also walks for 40-50 minutes four times a week and does strength training with weights at the gym three times per week, according to The Daily Mail. The owner of inLydia's Kitchen admitted that she worked with a personal trainer to help her achieve her new fit bod.